Just when you thought you were bored of Pharrell’s Happy, Kaytranada went ahead and rearranged it into a brand new jam. It’s an unwritten rule to have only one song per artist in a playlist/mixtape you make for someone else and while the playlists I make for every summer are for my ears only, I’m struggling to keep the Kaytranada count to just the single track. Already, the Canadian producer has a place with his rework of Teedra Moses’ Be Your Girl but his latest beast is forcing me to rethink the ground rules of playlist making. 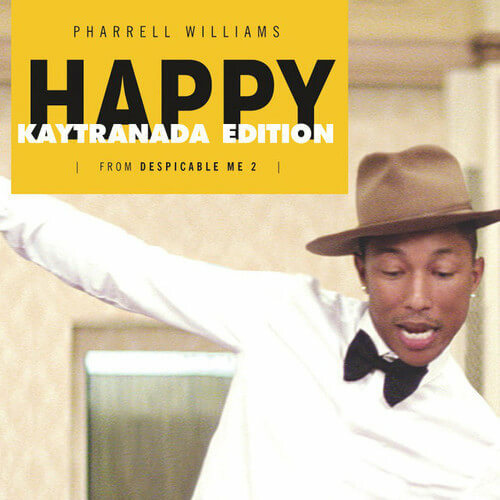 Pharrell Williams took the universe by storm with Happy and with the popularity has come a myriad of remixes (including a “sad” remix by Woodkid) but Kaytranada has gone ahead and added his own flavour. From the crashing drum break to the sparse but electrifying bassline, Kay’s edition is emphatic. Really. But what do you expect from a track breaking rules of playlist creation? Screw it, I’m adding that too.